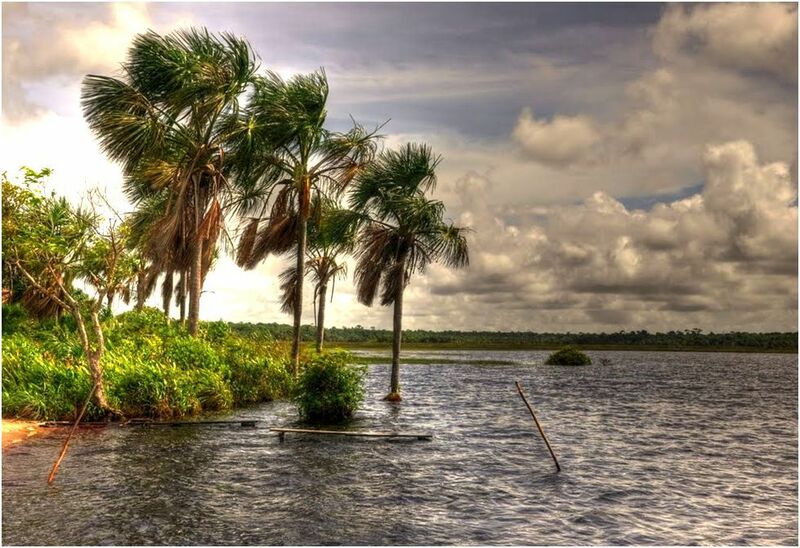 About five miles inland from the Atlantic, along the Essequibo Coast, stretches a cordon of fresh water lakes formed by creeks which spreads over the coastal savannahs. The quiet and scenic Lake Capoey is one of several lakes including Mainstay and Hot and Cold that captures some the splendor of Guyana’s lush tropical greenery. Yet another example of the sleeping beauty that is Guyana, patiently waiting to be awakened by the soft kiss of the right prince(s). We must. however, be careful to have the correct approach to opening our beautiful country to eco-tourism. There will be many downfalls if this is not handled correctly. Keep developers away from this pristine lake! Dmitri, my friend, you make us increasingly aware of the Edenic beauty and rich history of Guyana with your pictures and informative articles. As always, thanks for educating us and sharing your knowledge. I second Deen on that, Dmitri. Beautiful pictures by photographer, Marco Basir. How can I obtain his permission to use his photo of the ocean and broken canoe as the cover picture for my blog?